Berners-Lee, T., Hendler, J. & Lassila, O. (2001). 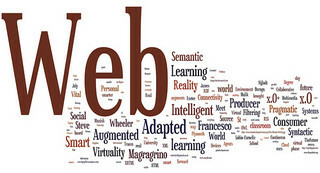 «The semantic web: a new form of web content that is meaningful to computers will unleash a revolution of new possibilities». Scientific American, (284), 34 – 43. Gorman, M. (2003). «Cataloguing in an electronic age». Cataloging and Classification Quarterly. 36 (3-4), 5 – 17. Krestel, R. & Chen, L. (2008). «The art of tagging: measuring the quality of tags». En: Domingue, John y Anutariya, Chutiporn (eds.) The Semantic Web. 3rd Asian Semantic Web Conference, Bangkok, Thailand, December 8-11, 2008. Proceedings (pp. 257 – 271). Berlin: Springer-Verlag. Syn, S. Y. & Spring, M. B. (2013), «Finding subject terms for classificatory metadata from user-generated social tags». Journal of the American Society for Information Science and Technology, 64 (5), 964 – 980.